Manufacturers contributed $2.18 trillion to the U.S. economy in 2016 and tor every $1 spent in manufacturing, another $1.81 is added to the economy. 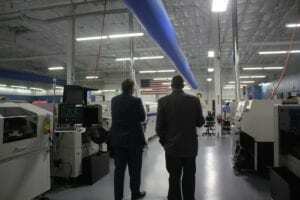 The vast majority of manufacturing firms in the United States are quite small. In 2014, there were 251,901 firms in the manufacturing sector, with all but 3,749 firms considered to be small (i.e., having fewer than 500 employees). In fact, three-quarters of these firms have fewer than 20 employees. 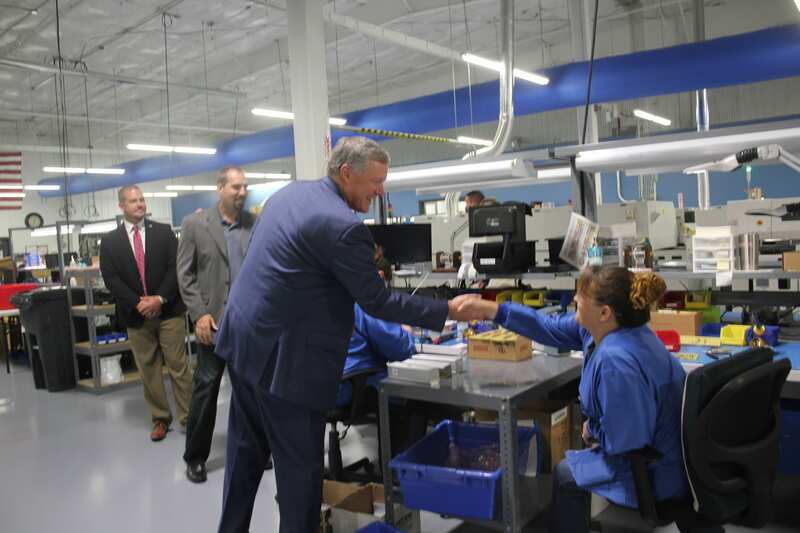 One of those “small firms” is having a big impact here in Macon County and Congressman Mark Meadows had a chance to experience their impact first hand last week while spending time in the district. 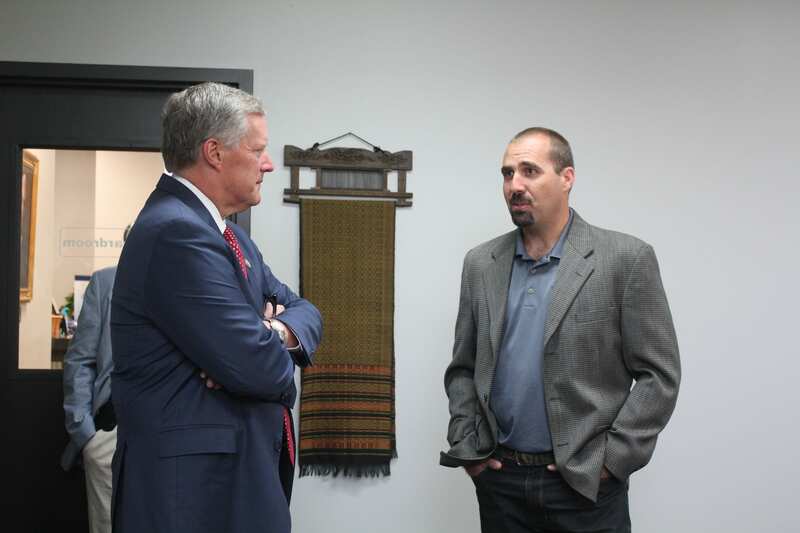 Last Wednesday, Rep. Meadows met with TekTone Sound and Signal president Johnny Mira-Knippel to tour the manufacturing facility at the Macon County Industrial Park. 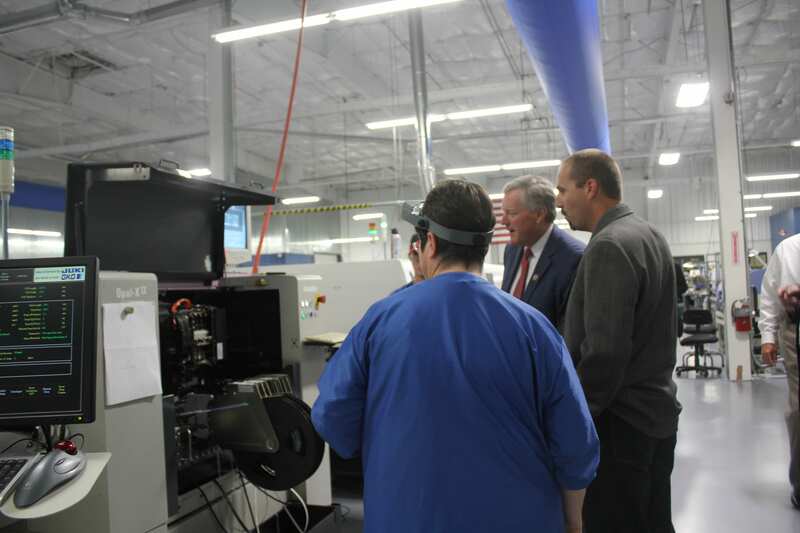 The majority of everything TekTone does or the parts they use to build their product are all Made in the USA, something Congressman Meadows sees as having a substantial impact for the county and the country as a whole. TekTone designs and manufactures wired and wireless nurse call, apartment entry, area of rescue assistance, alert integration and resident wandering systems. 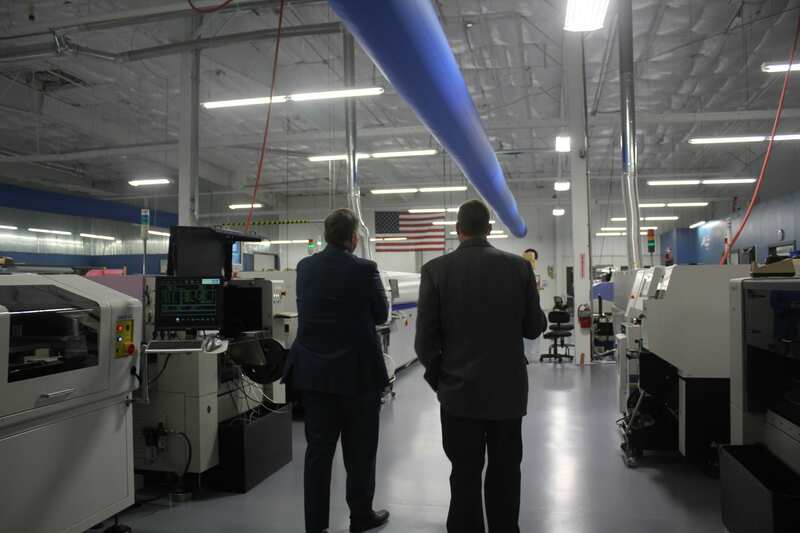 TekTone’s mission stems from the belief that they are part of the community and that it is their responsibility to help drive economic prosperity for their employees and Macon County as a whole. TekTone set a growth target of 8 percent over 2016 and so far in 2017, the company is on target for 20 percent growth from 2016. Mira-Knippel gave Rep. Meadows, county commissioners Gary Shields and Ronnie Beale, and county manager Derek Roland a tour of their new facility, that was made possible with the help of commissioners. 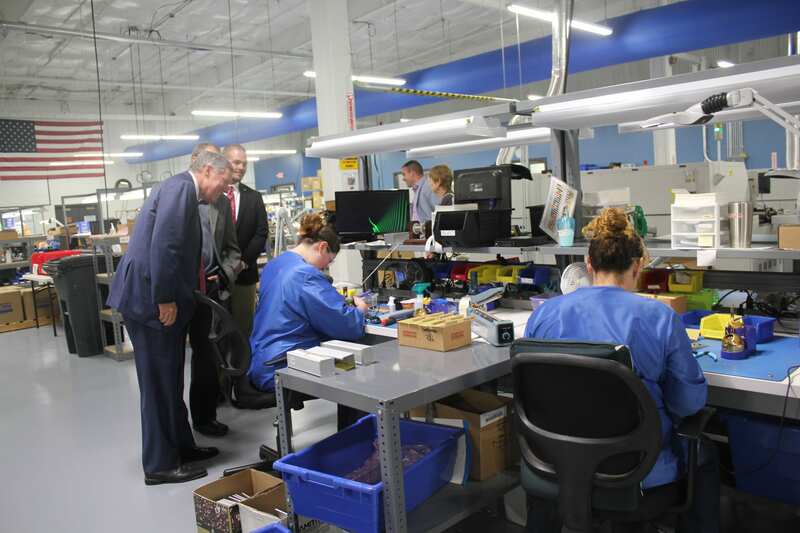 TekTone currently employs 82 people in Franklin and 85 people overall including regional sales staff. Meadows said that economic incentives and public/private partnerships are an integral part of ensuring the success of growing industries. Mira-Knippel said that Meadows’ visit was an opportunity to put on display the hard work and accomplishment of the family-owned business. TekTone’s move to Franklin was a chance encounter, and came to fruition in the late 1980s when the Mira family vacationed in Macon County. In 1988, TekTone, headquartered in Palm Beach County, Florida, was beginning to outgrow its facilities. While visiting Macon County, the family learned about the Macon County Incubator Facility, now known as the Business Development Center. Beale said at the time that the county didn’t quite understand what TekTone was, but said if they agreed to bring four jobs to Macon County, they could operate out of the incubator facility in exchange for a reduced rent. The business made the move the following year to Macon County looking for a second production facility, but eventually decided to move all operations to Macon County. 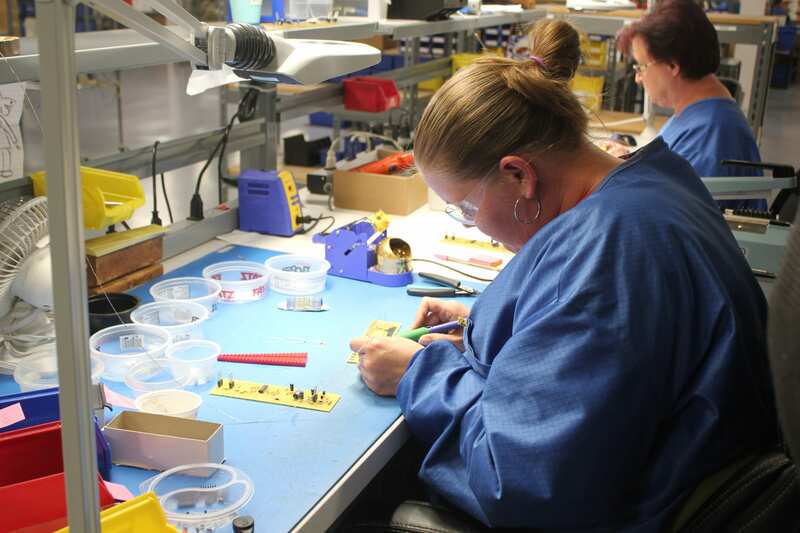 The company has since grown to more than 80 employees and has become a well known name in their industry. TekTone healthcare communications systems are found in hospitals, retirement communities, skilled nursing, and assisted/independent living facilities around the globe.